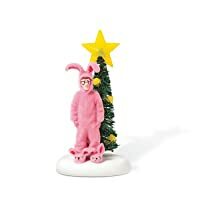 SheilaW I've been collecting A Christmas Story for the past 2 years and they are great for those who are huge fans of the movie. I highly recommend getting this. Plus this item was retired and was brought back this year. So you better get it before they retire it again.